The Rotary Club of Hertford Shires is a local club based in Ware, Hertfordshire, UK. and is part of the world-wide Rotary organisation, the club is within Rotary District 1260. We remain a relatively small and mixed club of about 30 members, and we were formed in 1997. We serve our local community and support international projects, in many different places around the world . 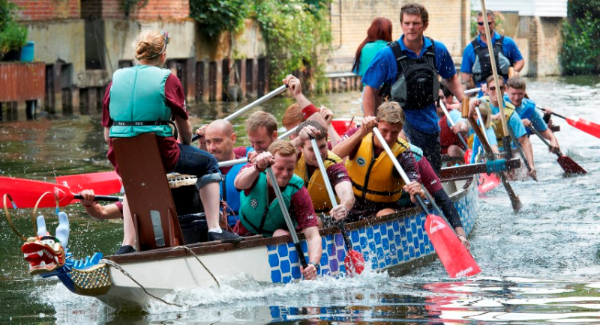 We run annual competitions for schools essay-writing and Young Chefs, and our main fund-raising event is a Dragon Boat Race held on the River Lee in June each year. We also help our locality through a variety of activities including a Stroke Awareness campaign various charity collections and “Lend-a-Hand” day. Please look at our social media links below to see what we are up to at the moment. This year our 2019 Dragon Boat Race will be held on Saturday 8th June.